Have you finished your Christmas shopping yet? Of course not, you haven't even begun to shop, if you're like me. There's still time, but you do need to scramble. Black Friday has come and gone so you'll start losing out on great deals for tech gifts if you don't figure out now what you're buying and who you're buying it for. Good news - we can lighten your load quite a bit. Someone on your Christmas shopping list wants a tablet, and we've done the research to narrow the pack down to these five tablets plus a bonus sixth 2-in-1 laptop and tablet. Apple recently unveiled new iPads. Apple isn't the only player in town anymore - Microsoft, Samsung and Amazon each have tablets at different price points with many of the features that you want in a tablet, like a large screen, a high-definition display and up to 1 TB of storage. Of course, you'll want to keep an eye on your budget. That's why we've handpicked these high-quality tablets with prices ranging from $79.99 to $899. Don't skip No. 3 - you might be surprised that you can get one of the best tablets around for less than $150. You can't go wrong with an Apple iPad. After all, Apple started the touchscreen-tablet trend about a decade ago. It's still widely considered the best tablet on the market. Still, it's not in anyone's budget to spend $799 on the 12.9-inch iPad Pro on everyone on your shopping list - although, you may want to buy one for yourself with its liquid retina display with 2732 x 2048 pixel resolution (264 pixels per square inch) and up to 1 TB of storage, for starters. The 9.7-inch iPad, on the other hand, is for almost everyone on your list. It's powerful - it uses the A10 Fusion microchip and has about 3.3 billion transistors. There are two versions, one for Wi-Fi and one for Wi-Fi + Cellular. They both weigh just over a pound. They measure 9.4 x 6.6 by 0.29 inches. They have a 9.7-inch Retina display with 2048 x 1536 pixel resolution (264 ppi). They come with 32 GB or 128 GB of storage. They have an 8 MP camera and 1.2 MP camera for FaceTime. Microsoft got off to a bumpy start a few years ago with its first Surface tablet. It was a poor imitation of better tablets, but that quickly changed. Now, the Surface Pro is considered one of the best tablets on the market. It's pricey with a starting price of $899 - but its features live up to that price tag. This Windows 10 tablet uses Intel's high-performance chip, the Intel Core 8th Gen i5 or i7. It has up to 1 TB storage solid-state drive. It measures 11.5 x 7.9 x 0.33 inches and its 12.3 PixelSense display has a resolution of 2736 x 1824 (267 ppi). It has an 8 MP rear-facing camera and a 5 MP front-facing camera. You can get a truly powerful and impressive-looking tablet for less than $150 with Amazon Fire HD 10's 32 GB version. It goes up a bit to $189.99 for the 64 GB version. Amazon's Alexa-enabled tablet connects with Amazon's Echo smart speakers. You can make hands-free phone calls and video calls. It has a 10.1-inch, 1080p full HD display with 1920 x 1200 pixel resolution (224 ppi). It uses a quad-core processor and has 32 GB or 64 GB of storage, which you can expand up to 256 GB with a microSD card. 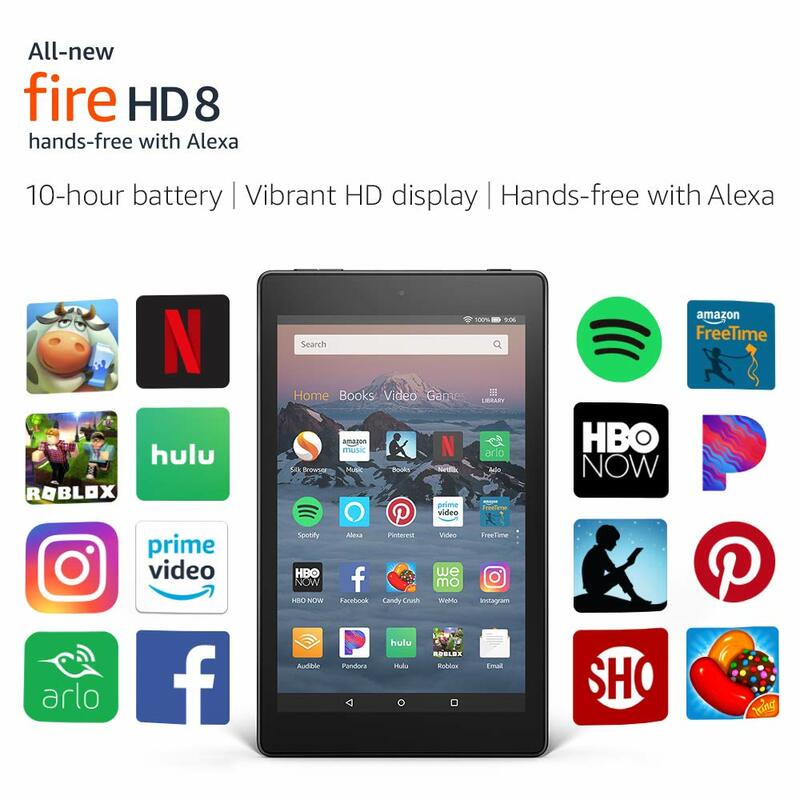 The Alexa-enabled Fire HD 8 is the ideal entry-level tablet for the younger members of your family. It has a bright display with 1280 x 800 resolution (189 ppi) to watch video games and movies. It's powerful with a 1.3 GHz quad-core processor and has 16 GB of storage built in. You can expand that to 400 GB with a microSD card. It has a lot of the functionality you expect from a tablet. You can make hands-free calls, watch movies on Netflix and, with Amazon Prime membership, you can read thousands of books for free. This is a powerful and impressive Android tablet with an interactive pen. You may not have heard people say "impressive" in the same sentence as "Android tablet" a lot, but this one has the specs to back that up. It has a 10.5-inch Super AMOLED display with 2560 x 1600 resolution. It has one of the most impressive cameras on a tablet, with a 13 MP rear-facing camera and an 8 MP front-facing camera. The S4 is powered by an Octa-Core processor and comes with 64 GB of storage. You can bump that up to 400 GB with a microSD card. This tablet is ideally suited for graphic designers or photographers. But it's priced so anyone can enjoy its display for Netflix, movies and video games. You know Black Friday is a tradition in America, where shoppers rush out on Thanksgiving to snag big savings on Christmas gifts. There's a newer tradition where retailers' Black Friday ads are leaked days or weeks before the holidays. 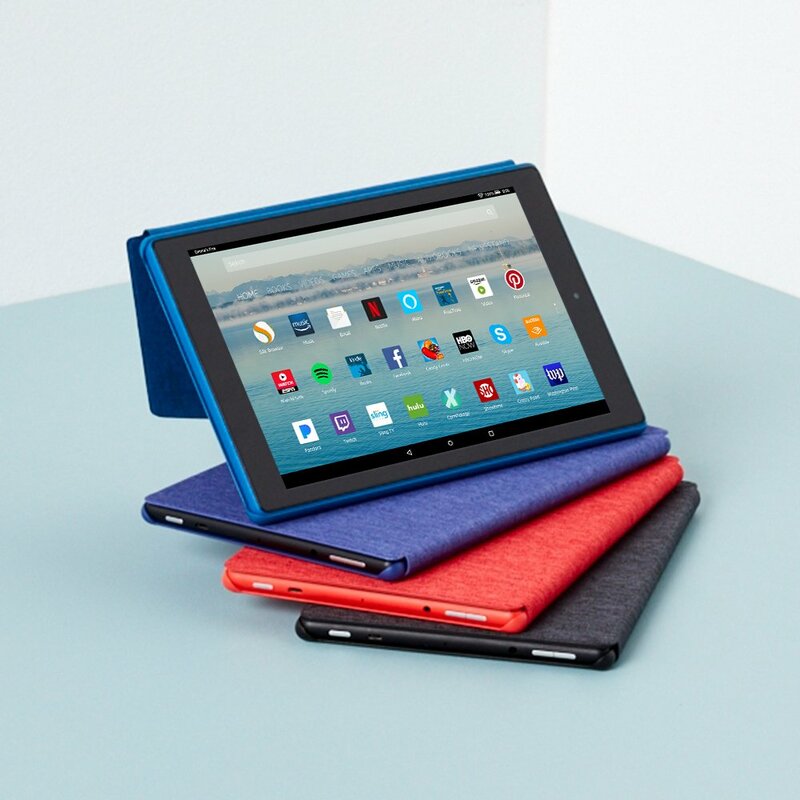 Click or tap here to see how you can save big on a tablets this Christmas!